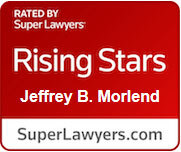 Jeffrey B. Morlend is a partner in the Corporate Department of Sullivan & Worcester's Boston office. Jeff advises both public and private clients in a range of corporate matters with a focus on securities law compliance, financing transactions and private equity investments. 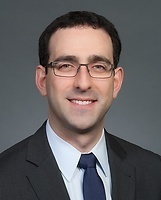 He counsels real estate investment trusts and other domestic and international companies in public equity and debt offerings and general disclosure matters. Jeff also represents financial institutions and public and private companies involved in a variety of industries in secured and unsecured credit facilities, including large syndicated facilities and single-lender financings, and advises sponsors and institutional investors in the formation of and investment in private investment funds for commercial timberland and farmland. During law school, Jeff served as judicial intern for the Honorable Frank M. Ciuffani, J.S.C., Superior Court of New Jersey. Read Jeff's posts on our InhouseGo2 blog, your source for top-of-mind issues affecting all C-level executives.